If crows like the New Caledonian Crow can plan out and create a specialized tool, then they seem to have smarts that rival those of early humans. 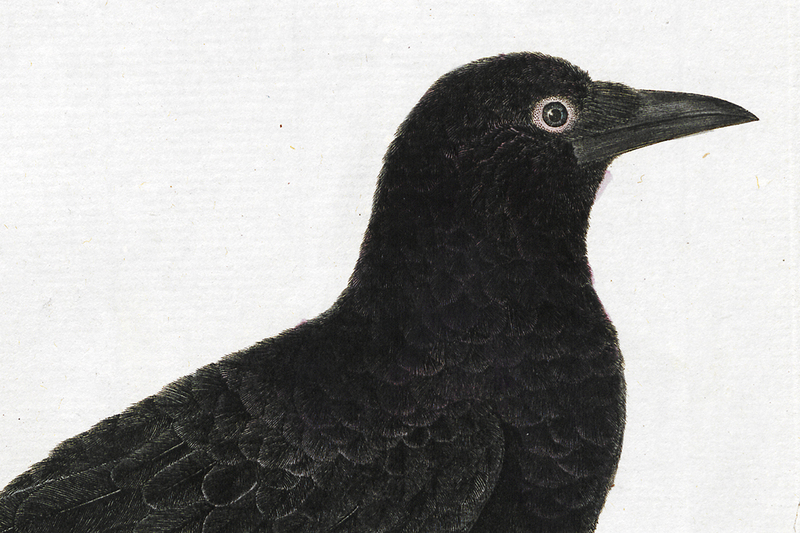 Not many animals have the capacity to plan ahead, but the New Caledonian Crow is one of them. These birds were observed to keep a tool handy for later use, a degree of advance planning on the level of a human child. It’s one of the few instances of such planning in a non-human, and what’s more, in order to set aside a tool, first the crow needs to understand how to use a tool. In fact, tool use in these crows is sophisticated enough to rival humans and great apes. There is tool use and there is tool use. To pick up a stick to help remove objects from a small hole is tool use. New Caledonian Crows go much further than that, and actually modify existing objects to create tools. The crows use some simple manufacturing techniques, folding the edged pieces of screw pine leaves into a bent shape to access grubs in holes. But they have also been observed to follow very complicated procedures. To make twig hooks, the crows first select a twig, trim the edges then bend it into a hook shape. Finally, and most remarkably, the crows shape and sharpen the point of the hook using their beaks. Researchers believe that the crows’ use of tools may be evidence of complicated thought and innovation. Further evidence of the crows’ acute intelligence comes from complicated tests administered to captive crows. Some crows were able to solve a complicated treasure hunt involving a task where they needed to use find one tool, use that tool to obtain another tool, and then use that second tool to extract food from a box. Most of the crows required several tries, but at least one was able to solve the problem first try. The exact reasoning behind the task is subject to interpretation; it’s possible that they simply eventually figured out the task through conditioning after receiving the reward for successful completion. But the researchers believe that this may be evidence of complicated thought and innovation, especially because they persisted through the first stages of the test without an immediate reward. Why did crows develop these incredible abilities? To evolve a brain capable of such tasks carries a cost in terms of the energy needed to run it. But nothing happens without an evolutionary reason. It turns out that larvae found burrowed inside wood are some of the most nutritious prey available, and only sophisticated tools can fish these morsels easily out of their holes. To capitalize on this food source, crows first had to develop new abilities. The end result is the New Caledonian Crow, and possibly other crow species, are in rarefied company. If crows can plan out and create a specialized tool, then crows seem to have cognitive abilities that rival those of early humans. 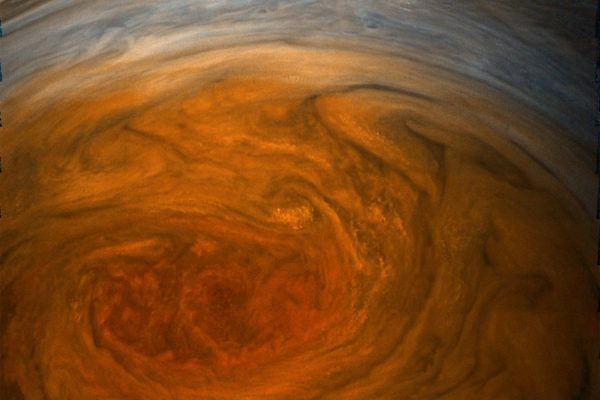 Astronomers have worked out that Jupiter's Great Red Spot is a massive storm system, but what keeps a storm going for hundreds of years?